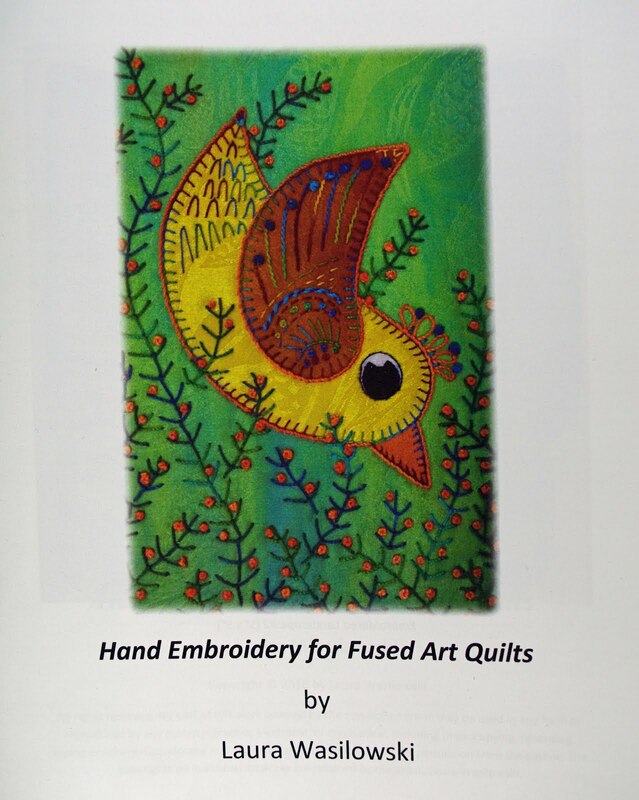 Laura Wasilowski has published a new book: Hand Embroidery for Fused Art Quilts. 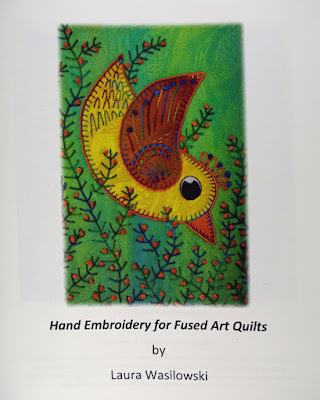 I absolutely love hand embroidery and I did a lot of it as a youth. As I grew older I developed carpel tunnel syndrome making my hand stitching sessions shorter and shorter, until I gave up completely. During the last few years I have wanted to go back to stitching, short sessions and all, but I have forgotten how to make many stitches. Laura has great tutorials on her blog which I have referenced in the past while working on my own simple projects. I was excited to see Laura's new book because now I can have all of her instructions with me in one place. 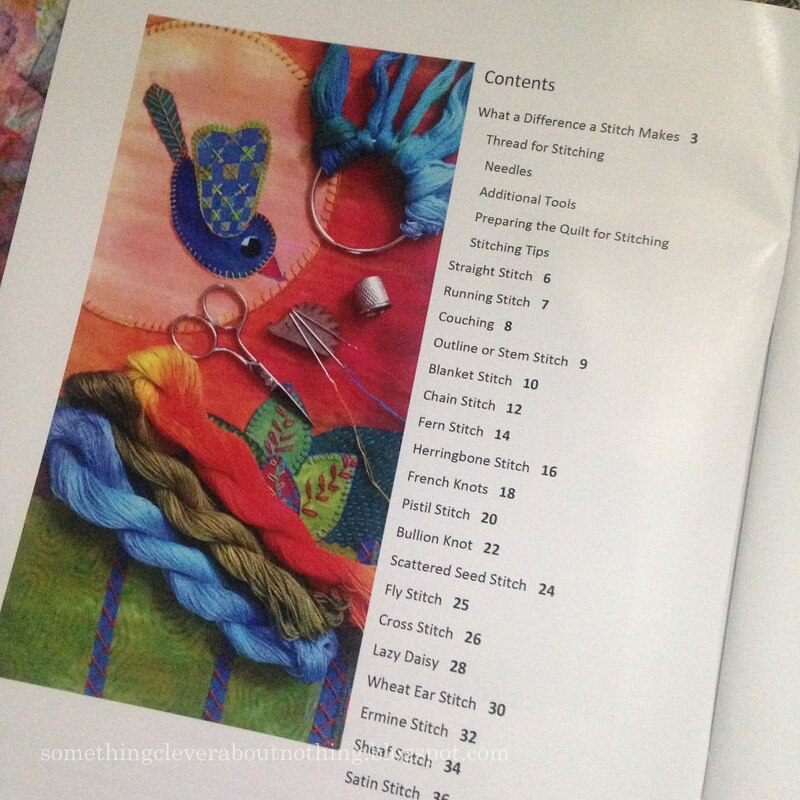 In the book, Laura gives advice about needles and thread and more importantly which sized needles to use with each type of embroidery thread. 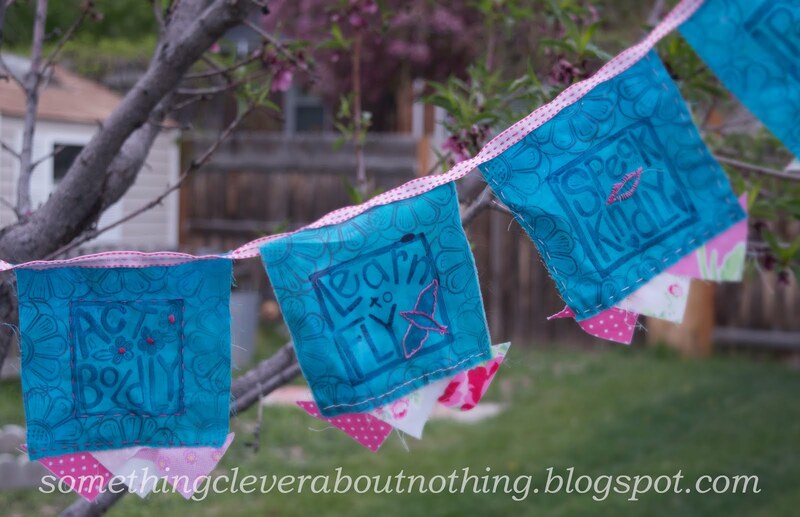 There are instructions on how to prepare your fused quilt for stitching, and many great tips for embellishing an art quilt. There are instructions on how to create 20 different stitches. 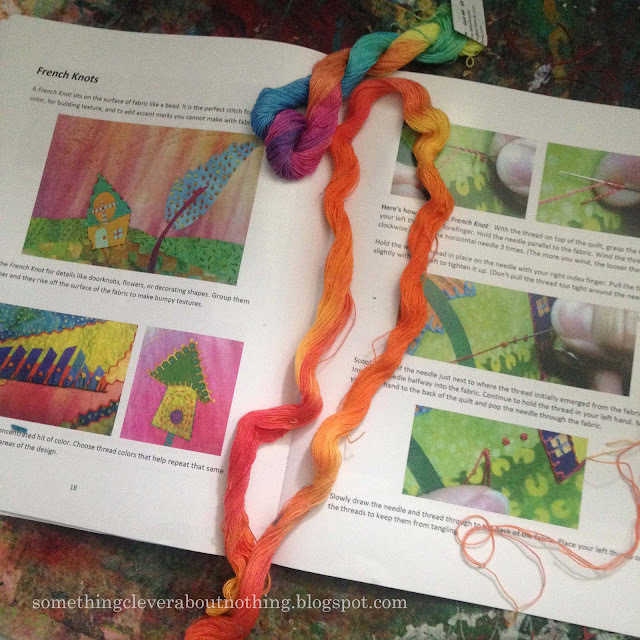 Each stitch is explained in detail and photographed to make even the most difficult stitch easy to understand. 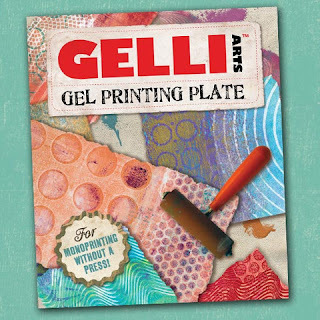 I think it is a great reference book for anyone who wants to add stitching to their art quilts. The only thing I would change about this book is the binding. I wish it were spiral bound with a hard cover. I know I will have it open on my table often as I relearn stitches, and I have a tendency to mess up a book pretty easily. 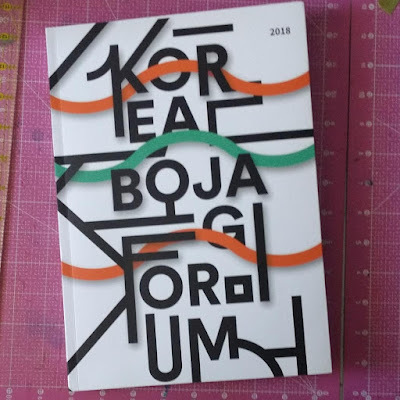 Heehee The good news is the book has great big margins that make it easy for me to take it to the copy shop and have a spiral binding put on! Those big margins are also great for making lots of notes. You can purchase a copy of the book from Laura on her website. I received this book as a gift from Laura with no expectation of a review but I felt I needed to share the book with all of you because I enjoyed it so much!